What is .ost File Extension & How to open A OST File? MS Outlook maintains data in two ways one is in .PST format and second is in .OST format. 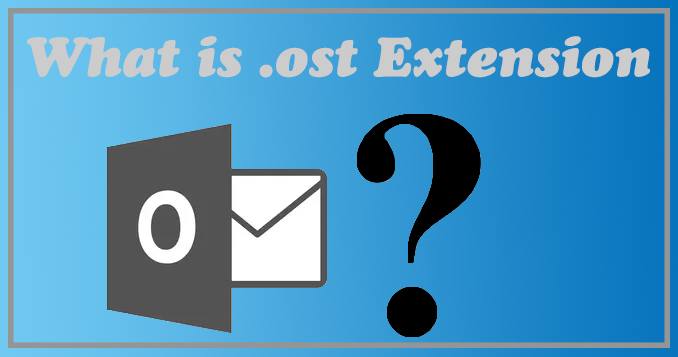 OST is similar to PST but OST can be used only in the presence of MS Exchange server. In MS Outlook OST stands for Offline Storage Table File which stores the complete data of Outlook like emails, calendar events, contacts, and tasks etc. The OST file is created when a user is using the Account of Exchange Server in MS Outlook with having Cache Exchange Mode is Enabled. If the Cache Exchange Mode is Disable then Outlook would not store the data in OST file, it will directly sync. the data from Exchange Server. Also When a user is configured with IMAP Mail Server in MS Outlook 2013 and MS Outlook 2016 an OST file has been created and when a user uses Hotmail an OST file also created; for Hotmail, a user can use any MS Outlook version. MS Outlook 1997, 1998, 2000, 2002 use ANSI Encoding format and 32-bit pointers. The maximum file size limit was 2 GB for OST file extensions. MS Outlook 2003, 2007, 2010, 2013, 2016 use Unicode Encoding format for Unicode and 64-bit pointers. The maximum file size limit for the .ost file in Outlook 2007 is 20 GB. In Outlook 2010/2013 and 2016, the size limit has been extended to 50 GB. MS Outlook 2003:- C:\Document and Setting\Username\Local Setting\Application Data\Microsoft\Outlook\Filename.ost. For MS Outlook 2007:C: \Users \User Name \App Data \Loca l\Microsoft \Outlook \Filename.ost. 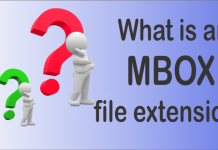 In this Article, we have discussed the OST file extension. If you have any related doubt please feel free to comment or you can also create a separate discussion in our Official Outlook Forums. We will be happy to help you. 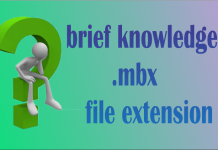 Next articleKnow Everything About What is EML File Extension.